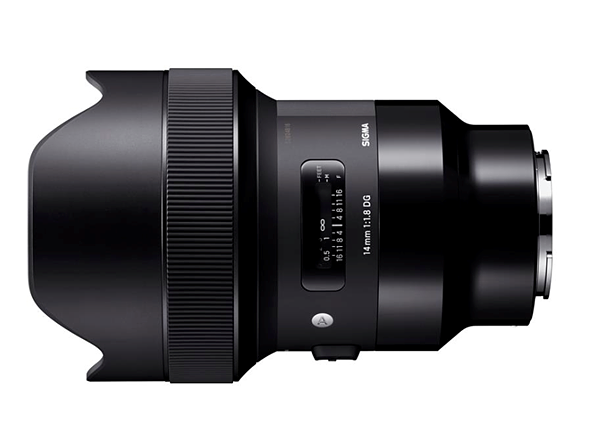 Sigma is now shipping the 14mm F1.8 DG HSM, 70mm F2.8 DG MACRO, and 135mm F1.8 DG HSM Art lenses for Sony E-mount full-frame cameras that were announced in February. All three lenses support Sony's Continuous AF and high-speed autofocus, as well as in-camera lens aberration correction and image stabilization. According to Sigma, the brass bayonet on each lens features special surface treatment designed to improve the mount strength. The mount is joined by a rubber seal to protect against splashes and dust. In addition, Sigma says its E-mount models include a newly developed control algorithm that both maximizes data transmission speeds and optimizes the autofocus drive.